Marinturk İstanbul City Port is in Pendik, one of the lively coastal areas of Istanbul. Located between Europe and Asia, Istanbul is one of the world’s best-loved cities, a landmark in history and civilization, and a multi-cultural city where mankind’s heritage dates back centuries and has lasted for generations. Our marina is only 6 miles from Büyükada, and is close enough to access all the beauties of the Bosphorus, providing an excellent perspective with floating pontoons and a 752 mooring capacity, along with the latest technological substructure systems. Istanbul City Port is the centre of Turkish Yachting with its marina and boatyard, and its commercial area where various sectoral companies are represented. 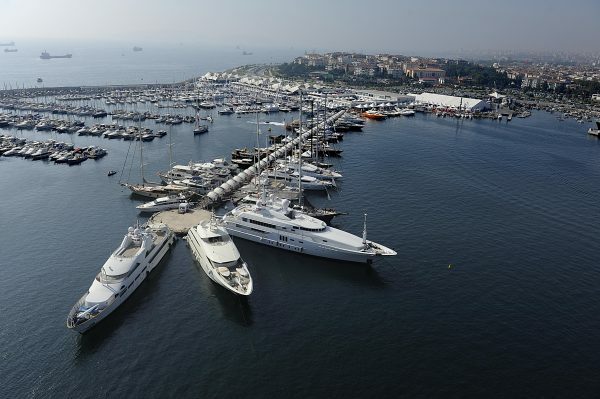 Our marina is located next to Tuzla, a key area of the yachting industry. Lifting & launching of yachts up to 200 tons, and all kinds of yacht repair & maintenance facilities are available in an area of 16.000 m².